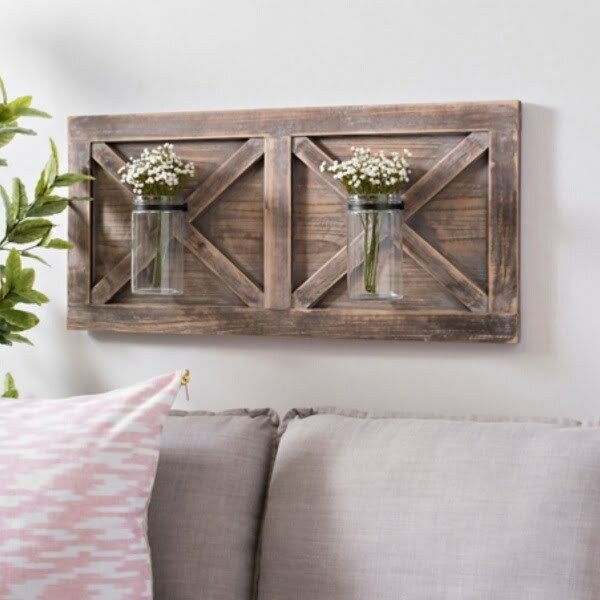 Want to create rustic wood wall decor in your home but not sure how to do that? You must see these unique rustic wall decor ideas. Rustic decor is all the hype these days. It seems that there’s no interior designer who doesn’t include some rustic accents in their work. And every DIYer out there is absolutely crazy about the rustic look. You can easily see the reason why. Rustic decor is affordable, relatively easy and it gives a home character as well as personality. Of course, you have to know where to start; you have to know what works and what doesn’t. Pretty much like everywhere in home decor. So the purpose of this article is to give you 20 creative ideas that you can use to make rustic wall decor at home. Check out these ideas, some of them even come with tutorials. 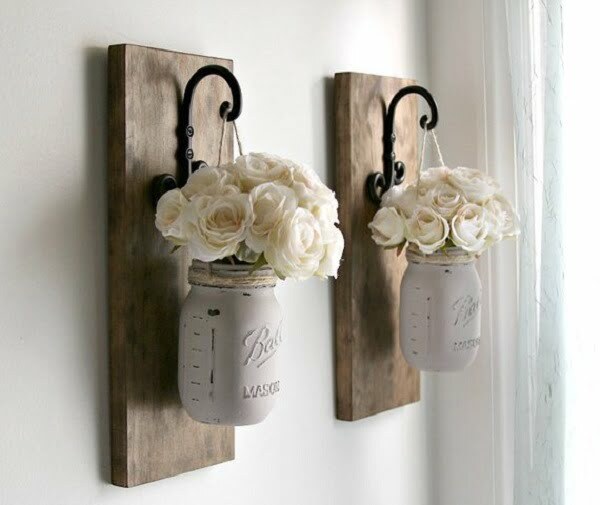 Rustic sconces with mason jars make a lovely rustic decor accent. Mason jar crafts always do. You can get these sconces on Etsy, or if you’re crafty, you can make them yourself too. 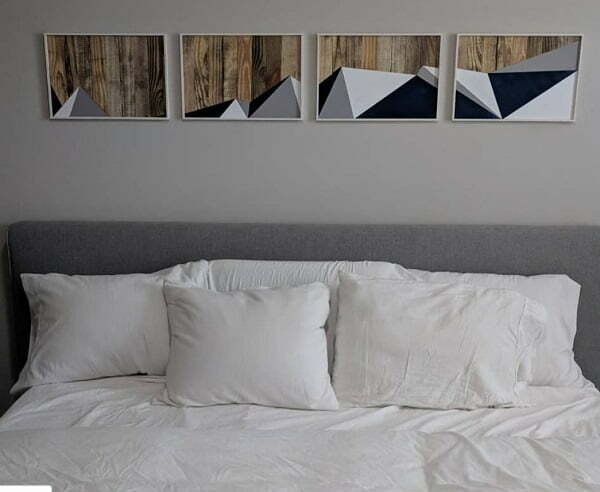 This look is a great way to add decor interest to your wall decor. 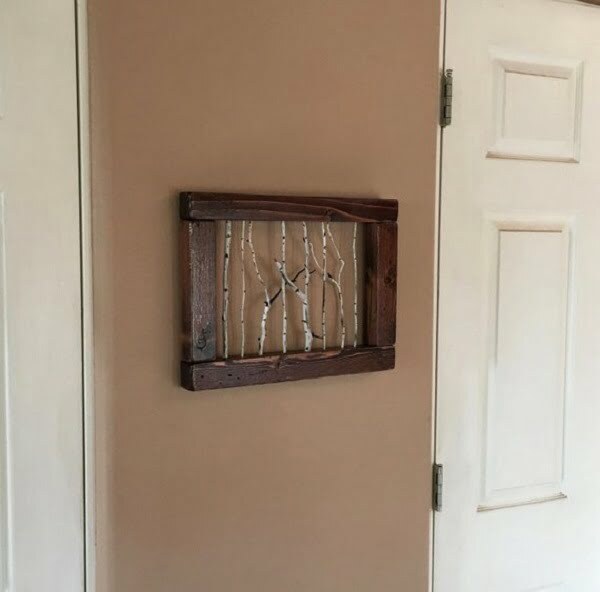 Wire art in a rustic reclaimed wood frame makes a unique decor accent on your walls. This is something you can try making at home, or you can get this art on Etsy. This rustic artic is the perfect alternative to charming wall decor. Decorative shelves make excellent wall decor because you can use all of your display items to decorate. 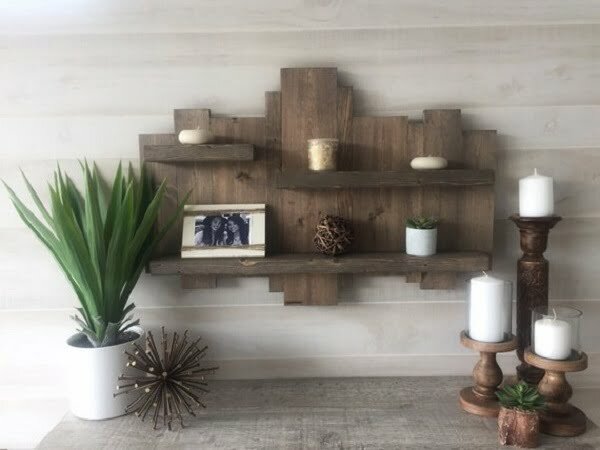 Rustic shelves made from reclaimed wood make charmingly warm wall decor accents. You can get these shelves on Etsy too. Or you can try your hand at making them. 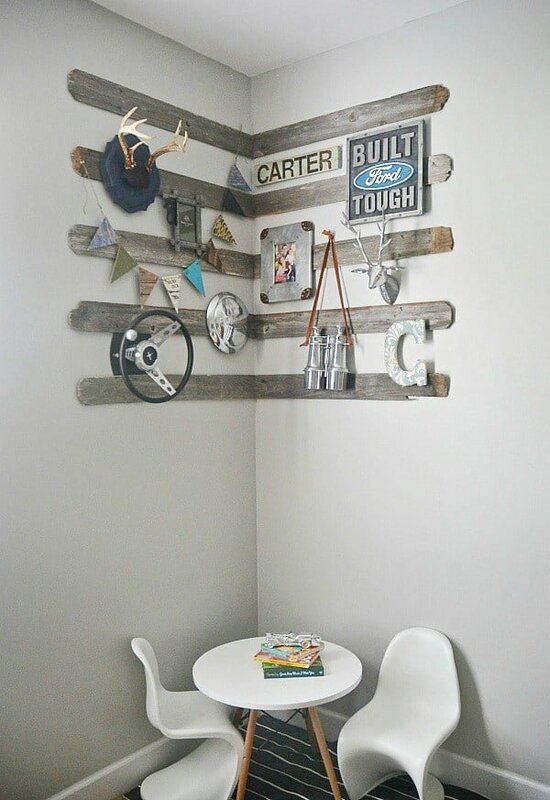 Here’s another brilliant idea for rustic wall decor. 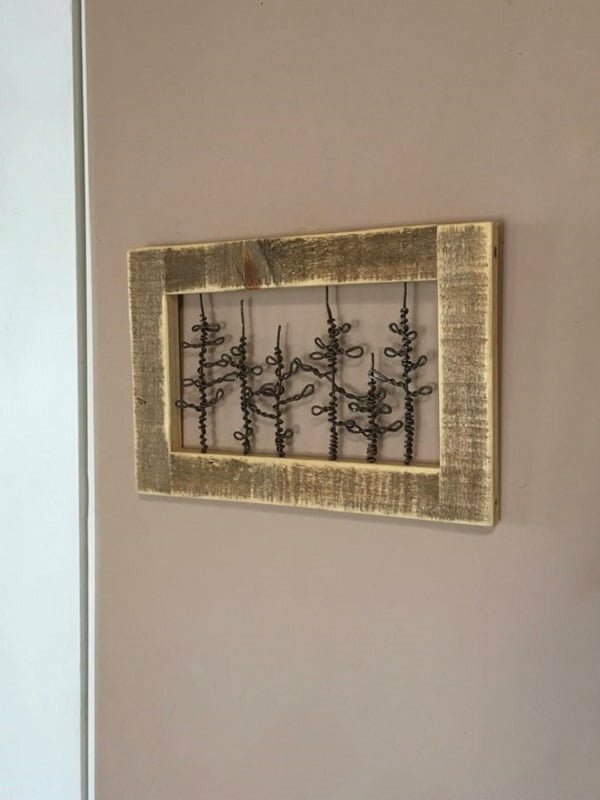 A tree branch framed art in a rustic picture frame is a conversation piece worthy of your wall decor. You can find this piece of art on Etsy, or you can make it at home yourself. 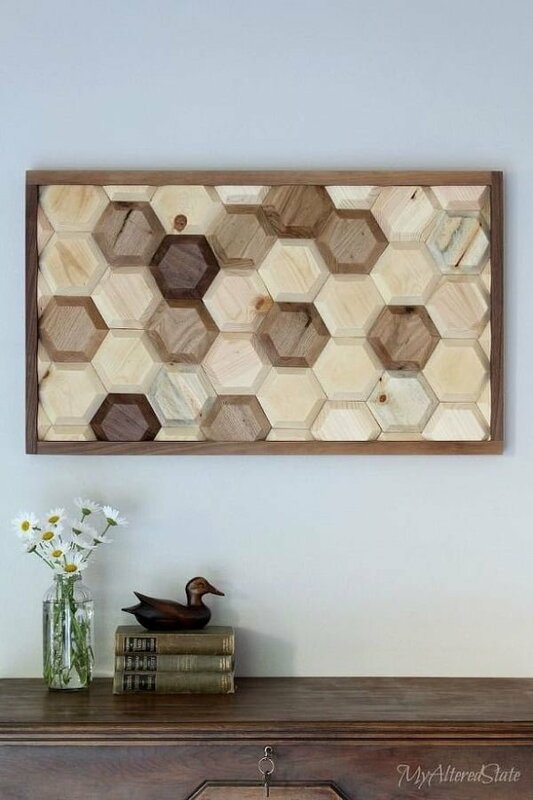 Hexagon wood art is a lovely piece you can add to your rustic wall decor to introduce a unique feature. It’s a conversation piece that will charm all your guests. Check out this tutorial that shows how you can make it yourself. 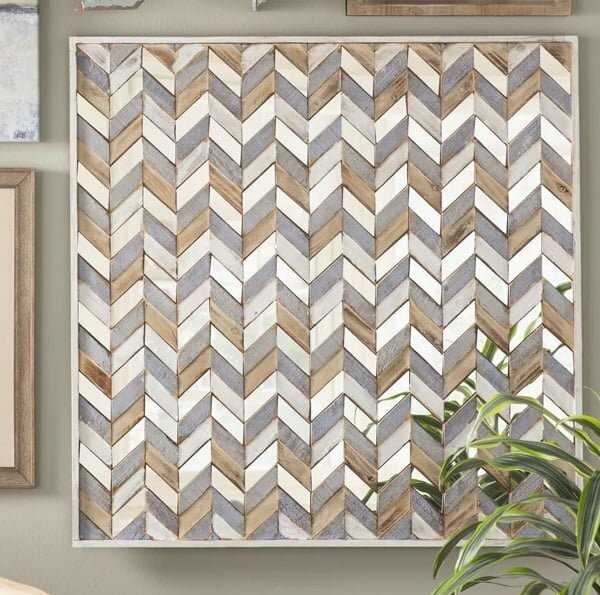 Herringbone patterns make a warm rustic accent when used in wall decor. You can use this pattern in framed art too. That’s an easy way to decorate your walls and use it as part of gallery walls. 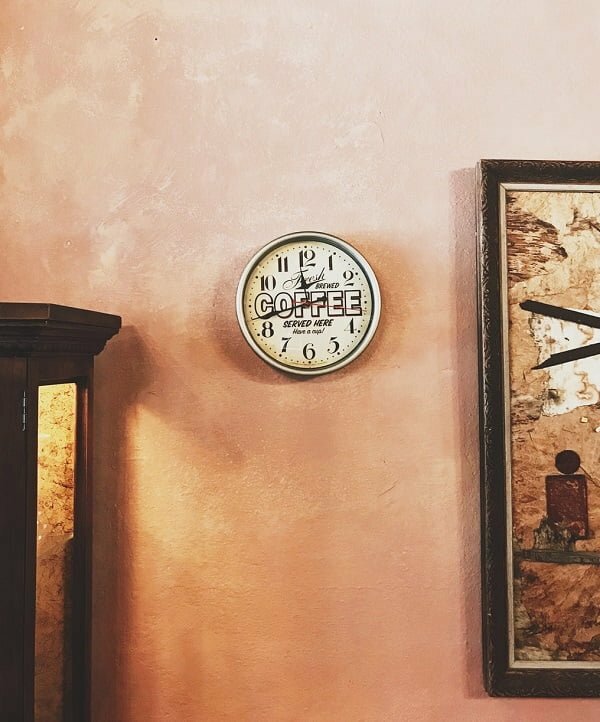 A vintage rustic wall clock makes a unique statement decor with a lot of character. Decorate your walls this way to create functional decor. All you have to do is to find a suiting clock. Try a local free market or a thrift store. Yes, you can hang a chalkboard for rustic wall decor. 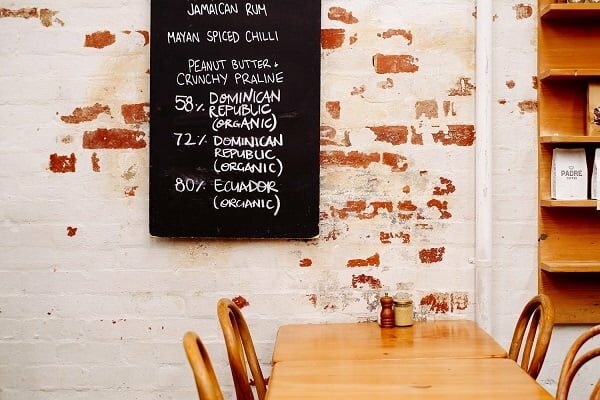 It especially works well in the kitchen where you can write down your menu. But don’t be limited to that, use the idea creatively. For a better rustic decor, you can use reclaimed wood to create your rustic chalkboard. A vintage map makes a great rustic accent wall decor. 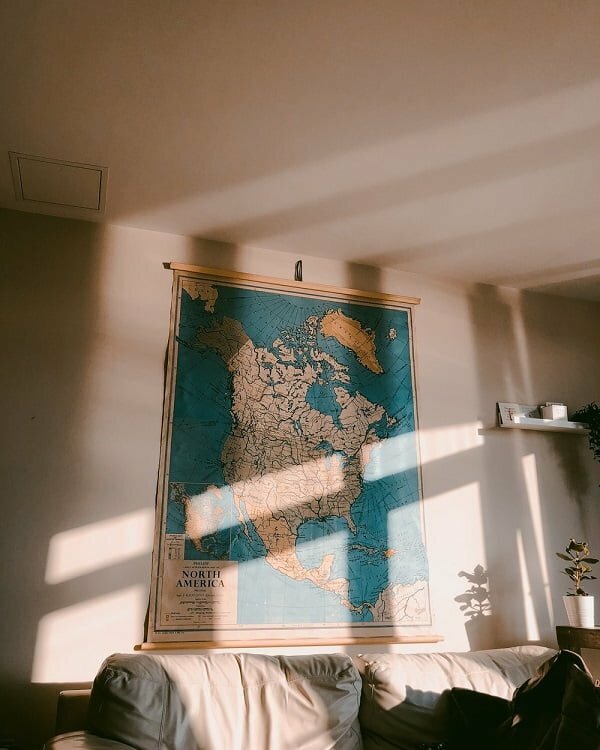 Find an antique map in a flee market for a lot of decor interest and character. This way you can create unique accent decor and make a great conversation piece that will work in any room of the house. 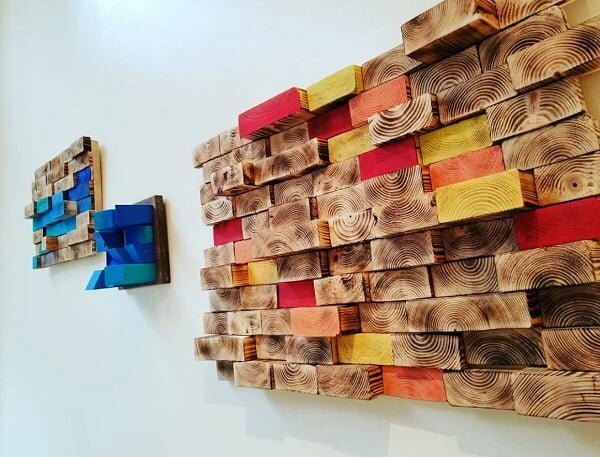 Wooden art is a big hit in home decor. It always creates nice and warm rustic accents anywhere you hang it. 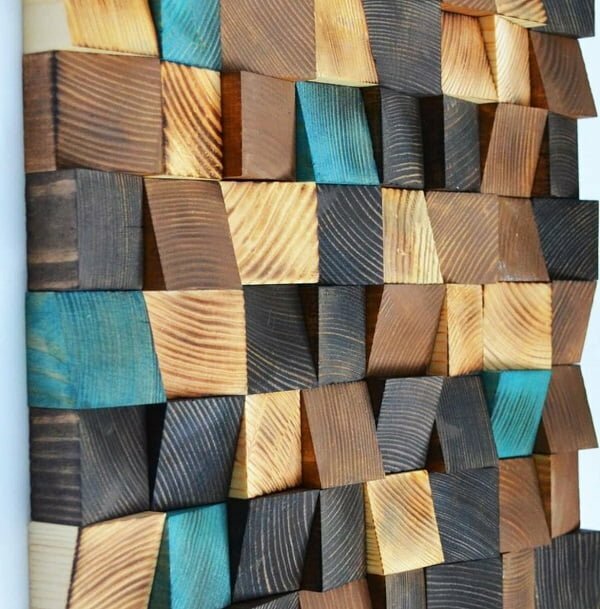 This 3D wooden wall art takes wall decor to another level. It’s a neat idea to try at home. Reclaimed wood plaques make excellent wall art. The idea is to use them as canvas and paint them in patterns or geometric art. The result is a unique rustic paining that will work as an accent piece in any room. 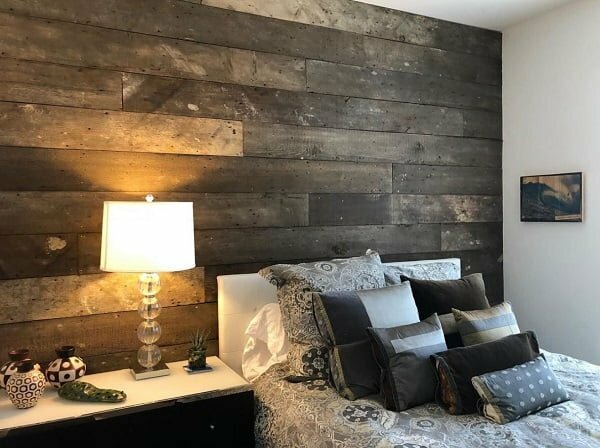 Why stop at wall hangings when you can make an entire accent wall from rustic reclaimed wood. It’s a big hit in the interior design trends. Of course, this project is more involved and requires more thought. 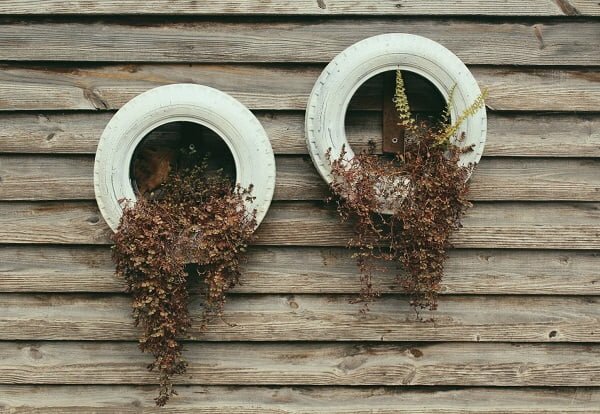 Don’t forget the exterior of your house and check out this idea of decorating outside walls with old tires. You can paint the tires and make whimsical planters from them for excellent accent decor. Wooden tiles are all the rage these days, and you can use this idea in your home decor too. You don’t have to go all-in to decorate entire walls or floor with wooden tile, but you can use a few accent pieces using this idea. If you’re looking for a simple and easy to implement rustic wall decor idea, try this. 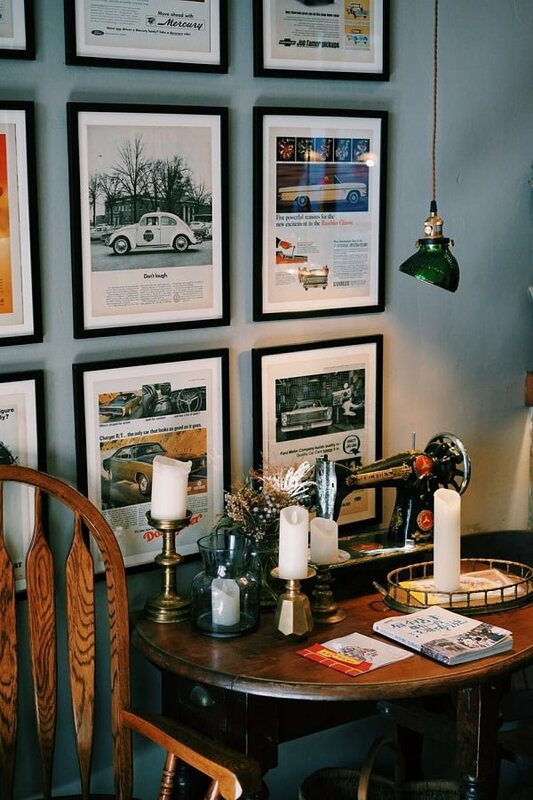 Find a few old vintage magazines (try flea markets and thrift stores) and frame them as art. They make truly whimsical decor accents and great conversation pieces. Barn doors have always had their way in rustic themed home decor. So no wonder we have them on this list. You can use one as a plaque with minimalist vases to create a warm rustic accent in your wall decor. It certainly makes a great conversation starter as well. What do you do with old wooden window frames? Don’t throw them away! Repurposing is what it’s all about. 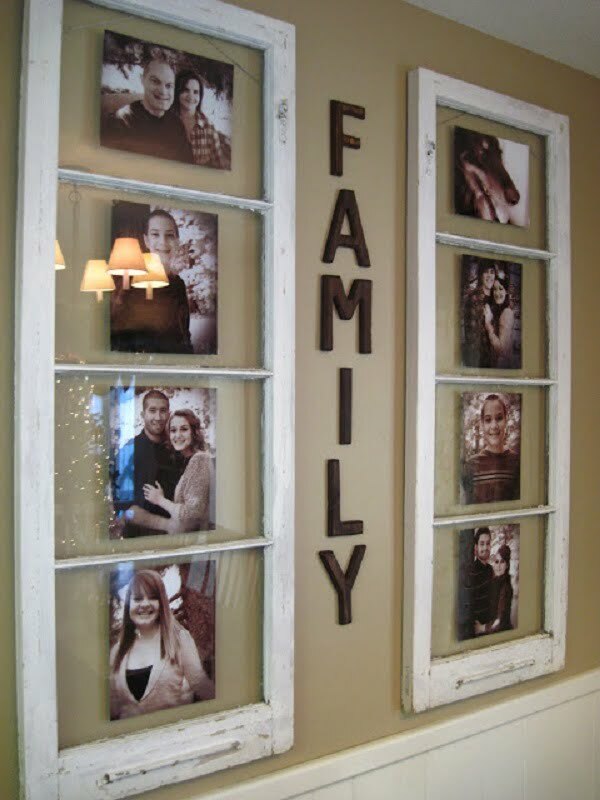 And you can create amazing rustic wall decor from simple old windows. Check out this idea on how you can create a brilliant wall gallery. Reclaimed wood continues to be the go-to material for rustic home projects. It can be as simple as using some recycled wood boards to create accent arrows for rustic wall decor. Check out this tutorial to see how it’s done. Usually, rustic decor means lots of earthy tones. But it doesn’t mean you can’t use some color in your rustic wall decor. 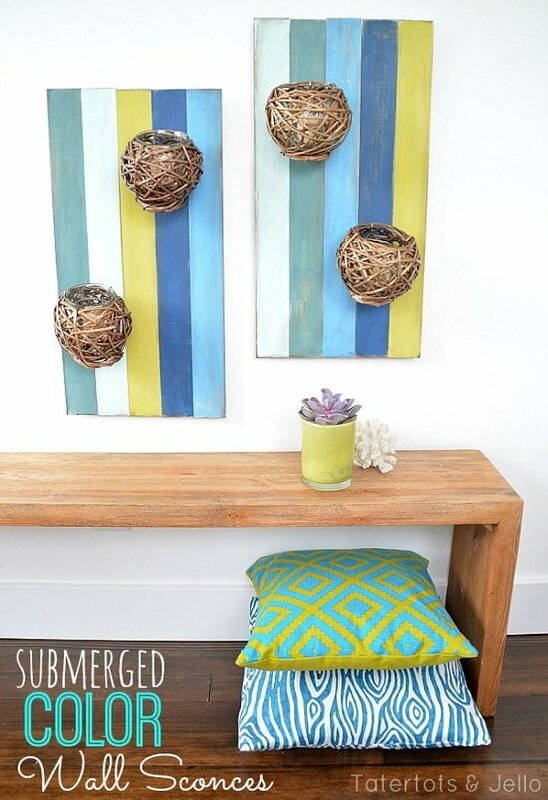 Check out this DIY idea on colored sconces that add lots of rustic charm in color. Want to create brilliant rustic wall decor? Liz Marie does it so well every time. 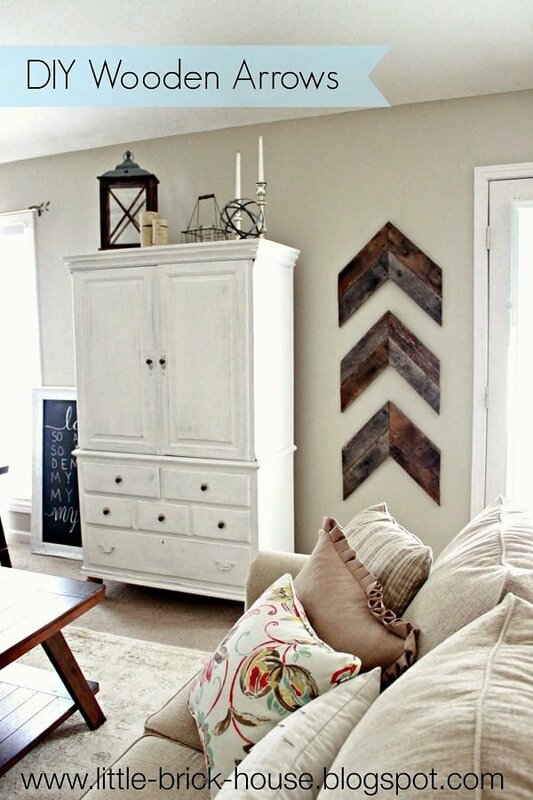 Check out her idea on how to decorate a corner by making a rustic gallery wall. This is an amazing inspiration.